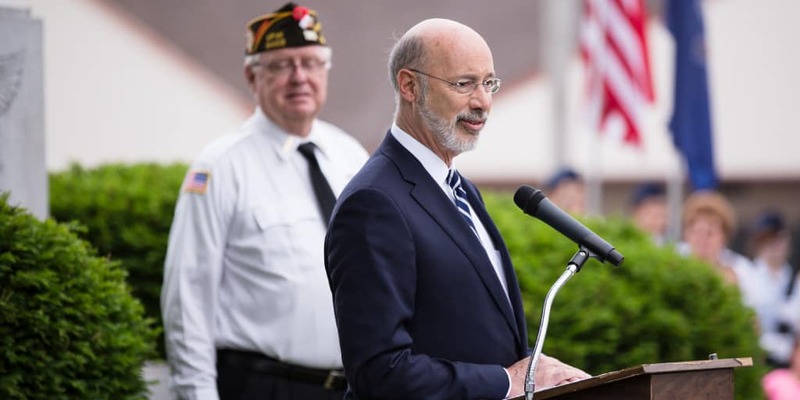 Governor Wolf announced that the Department of Military and Veterans Affairs is accepting applications for the 2018-19 Veterans’ Trust Fund grant cycle. 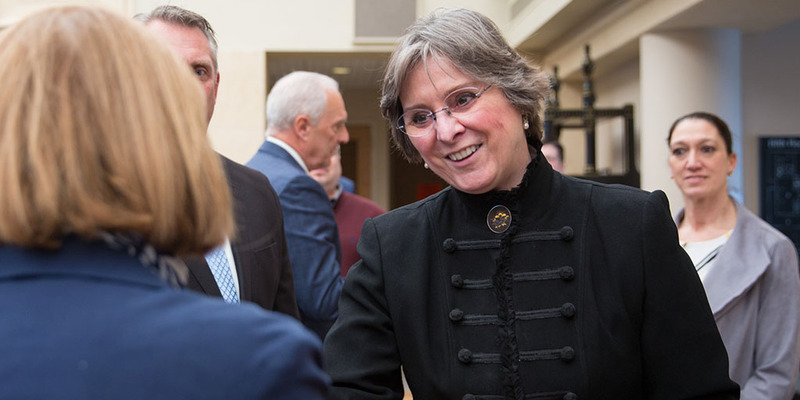 First Lady Frances Wolf and Major General Anthony Carrelli, Pennsylvania’s Adjutant General, today joined the Pennsylvania Commission for Women to host the third annual Female Veterans Day Ceremony in celebration of Women’s History Month. 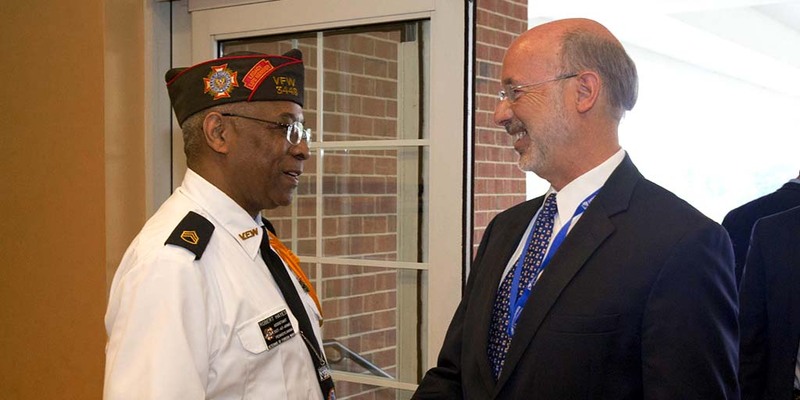 Governor Wolf announced that 13 Pennsylvania counties’ veterans’ affairs offices will receive $150,000 in grants and 18 charitable or veteran service organizations will receive $650,000 in grants from the Veterans’ Trust Fund (VTF), which is administered by the Pennsylvania Department of Military and Veterans Affairs (DMVA). Governor Wolf joined Maj. Gen. Tony Carrelli, Pennsylvania’s adjutant general and head of the Department of Military and Veterans Affairs (DMVA), along with members of the Pennsylvania National Guard for a holiday visit to the Southeastern Veterans’ Center in Spring City. 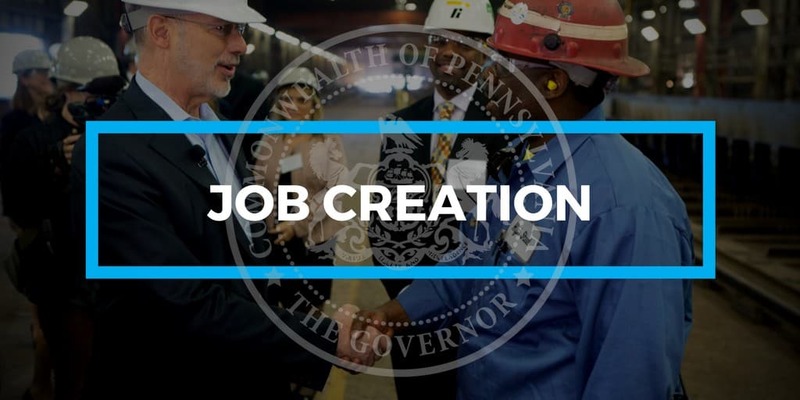 Governor Wolf announced that Disabled Veteran Solutions (DVS), a veteran-owned provider of call center services that focuses on hiring veterans and military families, will expand operations at a new site in the city of Erie, a move that will create 205 new Pennsylvania jobs.